Right after getting into PA for the first time, this is my first Eastern herp. Just a little toad, but a new one, and everyone had to endure me taking too many photos of it before we got to our first timber rattlesnakes a half hour later. 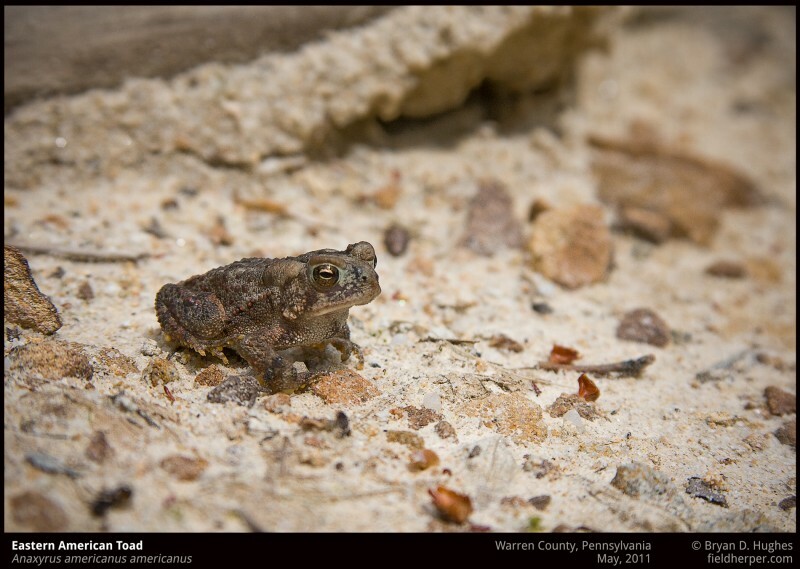 This entry was posted on Tuesday, December 23rd, 2014 at 8:20 am	and is filed under Amphibians, Field Herping, Field Trips. You can follow any responses to this entry through the RSS 2.0 feed. You can leave a response, or trackback from your own site.